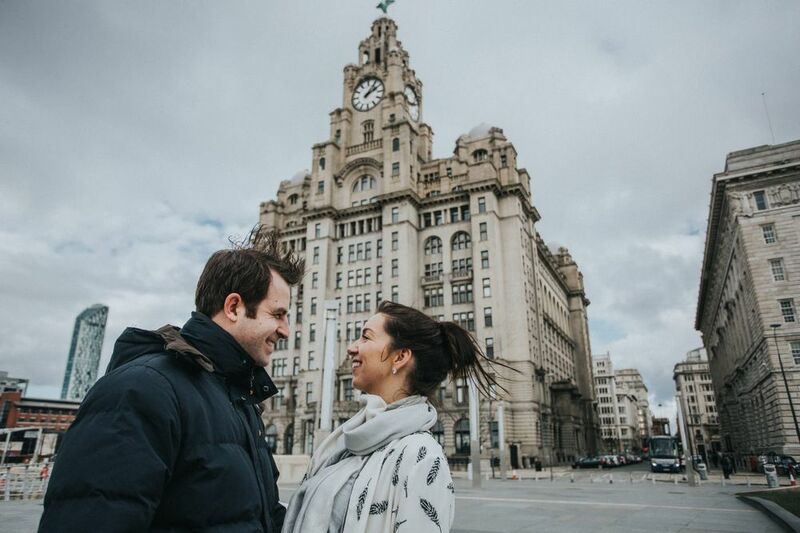 We were over in Liverpool this weekend for Jen and Rich's engagement shoot. 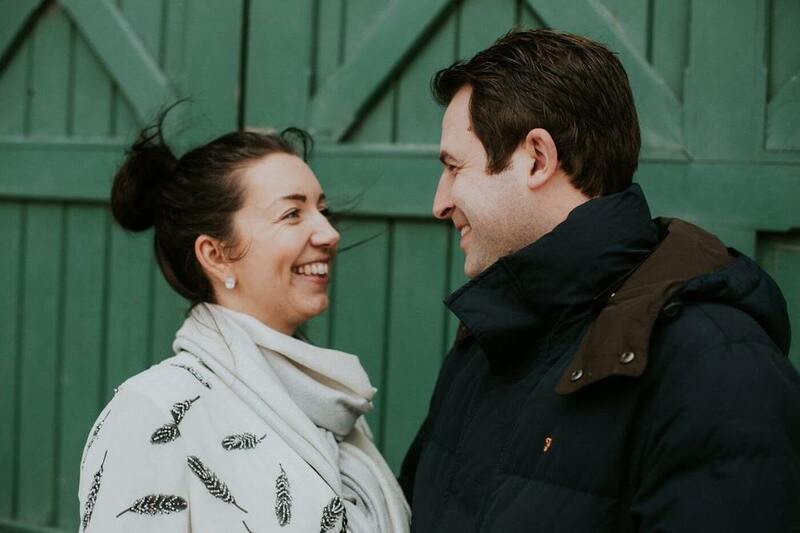 They'll be celebrating their wedding day at 30 James Street in May which we really can not wait for! 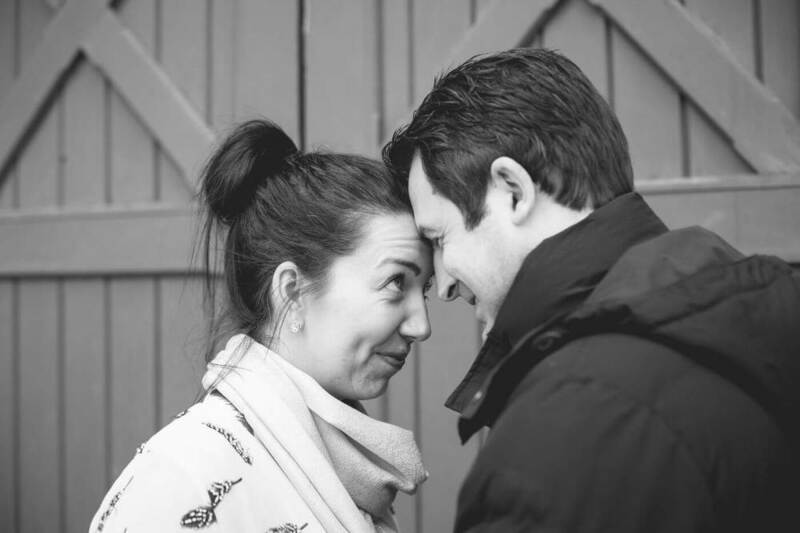 beforehand we had a nosey around and were quite taken back - what a gorgeous place to get married it is! 30 James Street was once home to the White Star Line (the company behind the Titanic); so with that being said - the hotel is themed as a 1911 hotel kitted out with 1911 themed decor such as an old fashioned juke box and typewriter to compliment its beautiful neo-gothic architecture. 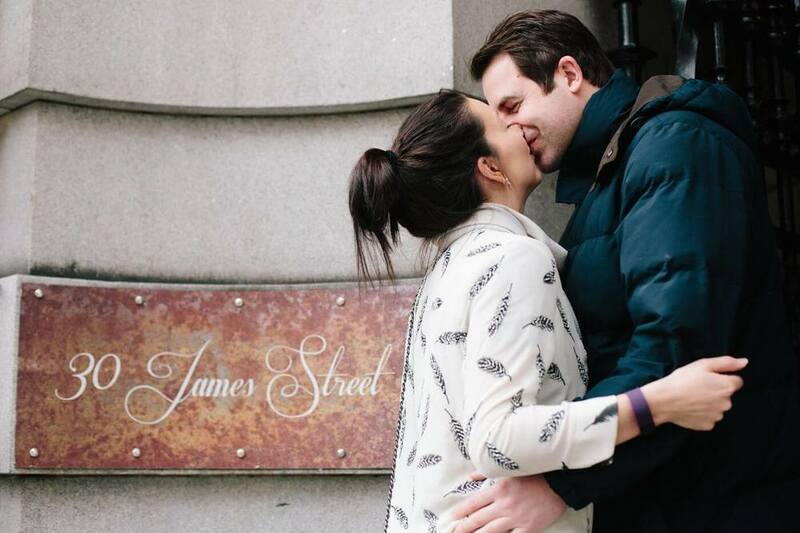 Once our tour of 30 James Street had come to an end we decided to use the venue as a start to our pre-wedding shoot. 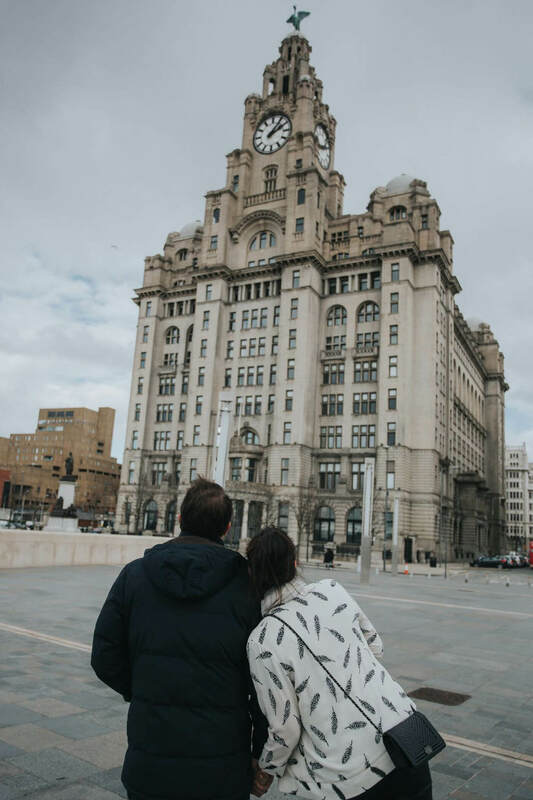 The venue is in a brilliant location for having a Liverpool Wedding as it's directly across the road from the Liver building, so we just had to put together a couple of portraits with the Liver building standing proudly in the background. We were also photobombed by The Beatles during our shoot! although it took quite a while to get a couple of shots of the Fab Four as they seemed quite popular with the tourists! 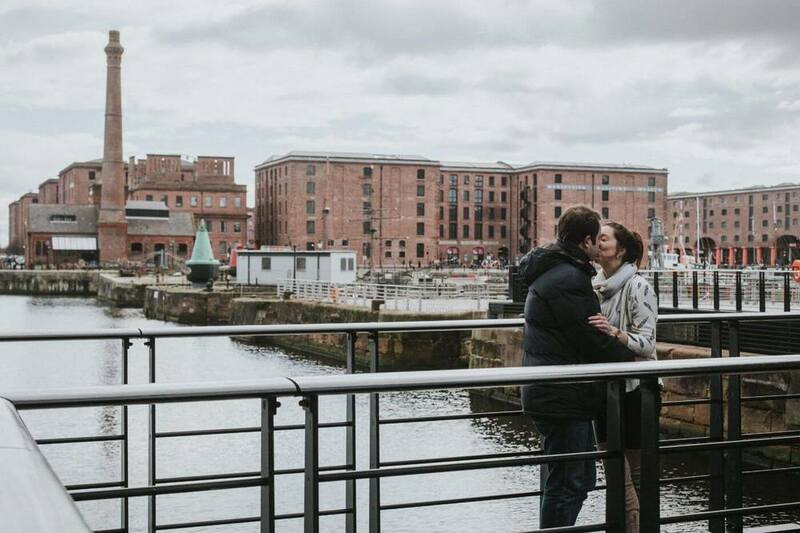 We then finished up down by Albert Dock, which made a nice backdrop for some candid portraits to round off our shoot together. 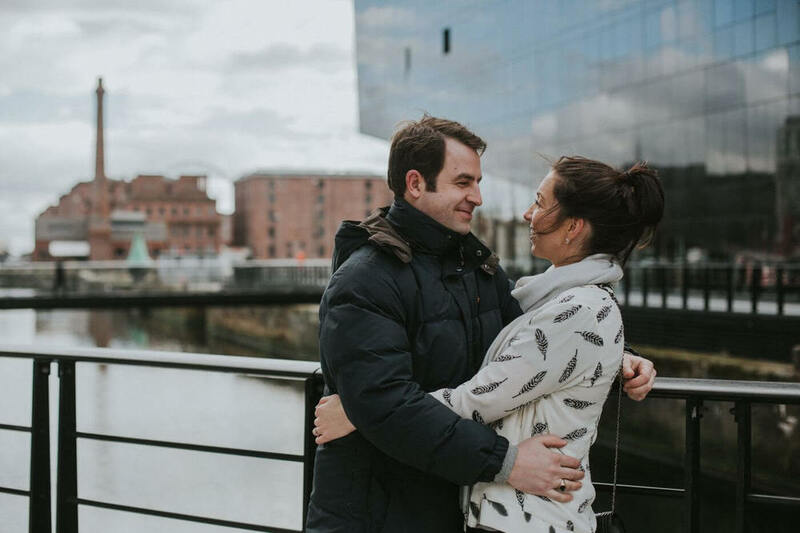 We really can not wait to be heading back here in May for Jen and Rich's Wedding Day as 30 James Street Wedding Photographers!